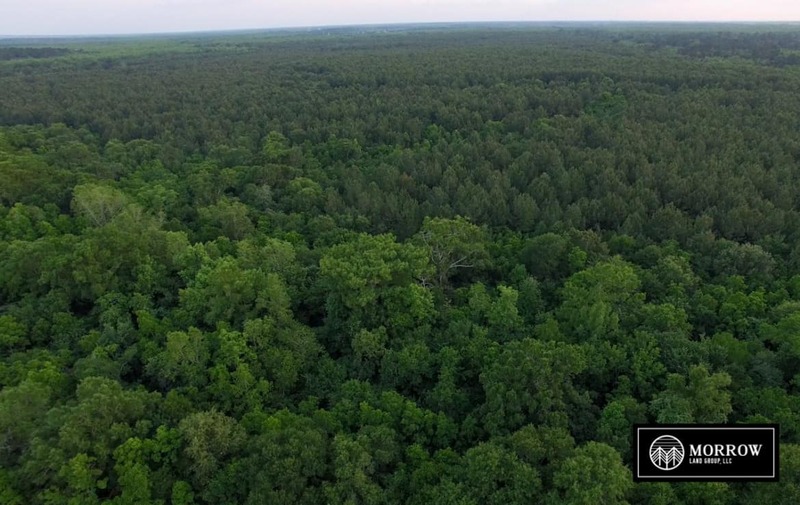 Paradise Point is a 510 +/- acre timber investment and recreational tract located just east of Jennings, LA in Acadia Parish. The property includes great paved parish road access along Riverside Road and has electric utilities and water available. Paradise Point is made up of 350 +/- acres of merchantable pine plantations planted between 1998 – 1999 and are ready to be thinned. The property is also made up of 133 +/- acres of cypress, tupelo and hardwood bottoms along Bayou Nezpique. The north end of the tract includes 20 +/- acres of improved pasture and stocked pond with 2″ water well. Paradise Point is true Sportsman’s Paradise and would make a great managed high-fenced hunting property in the heart of south Louisiana. The seller will convey 50% of current mineral ownership with the sale of the property. A recent timber appraisal is available upon request. Contact Land Specialist, Nathan Morrow, for more information or to schedule a showing. DIRECTIONS FROM JENNINGS, LA: From I-10, exit East Jennings (Hwy 97) toward Evangeline. Continue on Hwy 97 approximately 1 mile to Riverside Road. Turn right (south) onto Riverside Road and continue over I-10. At the base of the 1-10 overpass continue eastward on Riverside Road for approximately 1 mile. The property fronts the south side of Riverside Road for approximately ½ mile.